It is the third straight weekend of clashes over rising taxes and the high cost of living. 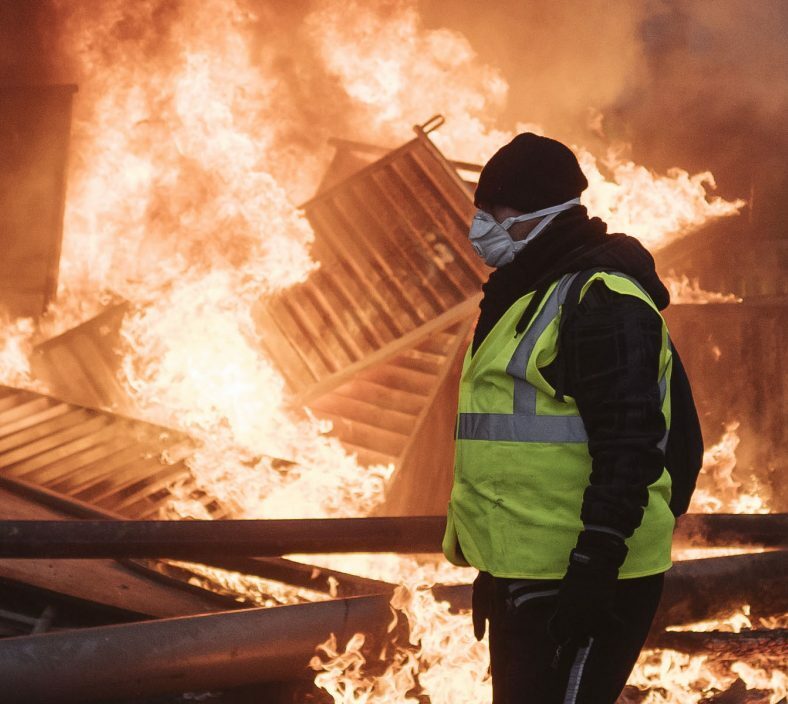 PARIS — A French protest against rising taxes and the high cost of living turned into a riot Saturday in Paris as police fired tear gas and water cannons in street battles with activists wearing the fluorescent yellow vests of a new movement. Police said at least 80 people, including 16 police officers, were injured in violent protests in the French capital, and 183 others were arrested. The clashes started early Saturday near the Arc de Triomphe and continued in the afternoon down several streets in the French capital’s most popular tourist area. Pockets of demonstrators built makeshift barricades in the middle of Paris streets, lit fires, sprayed graffiti on the Arc de Triomphe and threw rocks at officers. They also set fire to cars and trash cans. Some demonstrators removed the barriers protecting the Tomb of the Unknown Soldier from World War I under the Arc de Triomphe, to pose near its eternal flame and sing the national anthem. They were then dispersed by police. Earlier Saturday, several hundred peaceful protesters in Paris passed through police checkpoints to reach the Champs-Elysees.